Solitaire is a good option on a rainy day, but it can be quite boring if you’re playing on your own, so we suggest jumping online and playing card games with real money for the most exciting option on a dreary day. To do this, we need to know just how to make a secure deposit on the Internet. Fortunately, we have done the research and found the most convenient and safest deposit methods when playing cards games online, as well as alternative methods which suit all types of players and their preferences. This page is a guide for international readers only; Australians cannot gamble online as of September 2017 due to the new Interactive Gambling Amendment Bill 2016 coming into full legal effect. The fastest payment options for international card game players are generally credit and debit cards, specifically Visa and MasterCard. These are the blackjack and roulette of land-based casino games as they’re the most commonly accepted at online casinos. They’re also incredibly safe, with proven security track records, being cards that are used in daily transactions by many – not just for real money gambling online. While American Express is also a common credit card, it isn’t as readily supported as MasterCard and Visa at Web casinos. This is because these two have the best reputation, and therefore are a popular choice for many people. There are differences between both companies and forms of cards, but there are also many similarities. 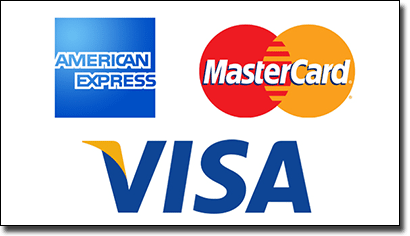 Visa and MasterCard credit deposits – Visa and MasterCard credit cards are similar in that they both allow players to deposit even if they don’t have the funds in their bank account. We only recommend this method if you know you can pay it back or have incoming funds as you can easily end up in a world of debt if you play and pay irresponsibly. While Visa and MasterCard are equally as popular, the financial institutions which issue these cards can be the decider as to whether or not your deposit will be processed. Some financial institutions do not allow their MasterCard or Visa cards to be used in gambling transactions, while others charge a fee when this type of transactions occurs under their ‘advance cash rate’ terms and conditions. Before making a deposit via Visa or MasterCard, we recommend looking at the policies of your financial institution, as it can take a few days for this to process and ultimately be denied if that is the case. This can then allow you to save time and use a different method if you are aware prior to depositing. Visa and MasterCard debit deposits – Debit cards on the other hand allow players to make a deposit without accidentally overdrawing their accounts. This is a good option for players who tend to get caught up in the moment and deposit too much, though we recommend pre-paid services for the true free spirit. They require the funds to be present, otherwise the deposit will be declined. Both Visa and MasterCard debit cards follow the same rules as their credit card counterparts in terms of their policies, so once again read the terms and conditions. Debit cards follow they same process when filling out the details as credit cards in that the name, card number, and CVV (the three digit number on the back) is entered. The funds are processed quickly provided they are compatible with gambling transactions and that there is money in your account. These two are the quickest options for players to get their deposits cleared quickly. Other credit and debit cards can be available however it isn’t as common as Visa and MasterCard for deposits and while it may say pending it can actually in the end be rejected. If you don’t hold either type of card then there are alternatives which can even allow you link to your credit or debit card that you do hold. Some payment methods can score extra bonuses, and we don’t mean the usual sign up bonuses, when they are used. The most common we’ve seen is the extra deposit bonus, such as an extra 10% or so when using an e-wallet for the first time. E-wallets are virtual online accounts where money is stored, similar to how you would store your money in a physical wallet. These are great alternatives if you have a credit or debit card but not one which is accepted as you may be able to link it with the e-wallet to make a deposit. Players can easily and quickly sign up for an account with an e-wallet company, link a personal bank account, and then choose this option when making the deposit. PayPal is an e-wallet but it isn’t accepted by law at online casinos for players. Therefore, it’s advised to look at an alternative virtual wallet. The two most popular alternatives include Neteller and Skrill. Neteller – Neteller is the most common e-wallet available for gambling transactions. It offers players an Account ID and password to use when making a deposit to make it quite simple to make a deposit and also offers user protection. Many of our recommended online casinos offer from 10-15% extra with their first deposit bonus if they choose Neteller. Skrill – Another popular e-wallet is Skrill, which is formally known as Moneybookers. It’s similar to Neteller and is commonly accepted at reputable and regulated online casinos, but it has one difference which may appeal to younger or the technology savvy player; an app, downloaded to a portable device’s homescreen, allows users to quickly check funds, link accounts and more. This method also sees extra bonuses added when used. High rollers have to pick the right deposit method when playing online. The best method for the maximum amount to be transferred is a bank transfer. Bank transfers simply use the account number, BSB and account name, but can take a few days to process. So if you are a high roller, you will have to plan in advance because it won’t process instantly. Some online operators may offer the chance for players to speed up this processing time by paying a fee, but not all do. These don’t generally impose a limit and players can deposit as much as they want via this method. Additionally, this method is incredibly secure as it is utilising your financial’s institution’s security systems in place along with a reputable online casino’s data encryption technology which protects players. New players or players who don’t trust inputting their personal details into online casinos to play their favourite card games do have an alternative option. This option is known as prepaid services. This involves some form of card or voucher being pre-loaded with money either online or in person at a retail outlet with a card number or voucher code to be used with compatible online casinos. Prepaid cards are disposable and cannot not be used to make a withdrawal, meaning alternative methods are required if players win. Regardless, they are a good option to avoid inputing personal and financial information with many pre-paid services available. Ukash voucher – Ukash is very popular in the online gambling world due to its ability to allow players to remain anonymous. Players purchase the voucher which has 19 digit code and use this at Internet casinos which accept this method by inputting these numbers. Players can either buy this online or at post offices, petrol stations, and more. Players simply purchase the amount they plan to use to make bets with and once used, it becomes disposable. Prepaid cards – Similar to vouchers, prepaid cards are loaded with funds and used online to fund accounts without having personal details entered. They are inputted like credit and debit cards, with ‘Account Holder’ in the place where account name is required. These too are loaded and one used become disposable so can only be used for deposits. Visa and MasterCard both have pre-paid cards as well as a prepaid card called Paysafecard. These are the most common methods available at regulated and reputable online casinos which offer our favourite card games such as poker, blackjack, pai gow, red dog, and more. While these methods are secure it is extremely important to find an online casino which is reputable so that our funds are secure and our money is being played on fair games. Trustworthy online casinos offer player protection as they are protected by third party organisations which regularly check in and ensure players are getting the best experience when playing card games online. When picking the payment method, factor in your personal preferences such as whether or not you are comfortable inputting personal details into an online casino (which is safe and secure provided you are playing at a reputable online casino), how much you want to deposit, and whether or not you want to make the most of your deposit with extra bonuses using certain methods, because ultimately the choice comes down to you.